The recruitment of ISIS terrorists may have begun as an extremist crusade in Iraq, but it has quickly become a global phenomenon that is taking hold of people from diverse backgrounds, cultures, and belief systems. The iconic image of a terrorist as an old, angry, middle-eastern man is long gone. It has since been replaced by young men and women of all races and religious upbringings, in tactical gear and ski masks, carrying heavy artillery. From the outside looking into the Islamic State, most people see these men and women as nothing more than evil terrorists with a psychotic penchant for violence. Internally, they perceive themselves as freedom fighters or mujahedeen, who violate the laws of men to protect their community according to the will of Allah. Ultimately, neither of these perceptions are based in reality. While some experts claim that terrorist recruitment is completely random, criminologist Kimberly Mehlman-Orozco has identified clear patterns which can be used to explain how regular people are being conscripted into terrorism. Using interviews with convicted terrorists, in-depth research and analysis of extremist propaganda, and case-specific details, Dr. Mehlman-Orozco provides nuanced theories into the methods of terrorist recruitment—methods which can be used to identify persons at high risk of being targeted. The Jihadi Next Door provides unprecedented information that can be used to actually combat terrorism. 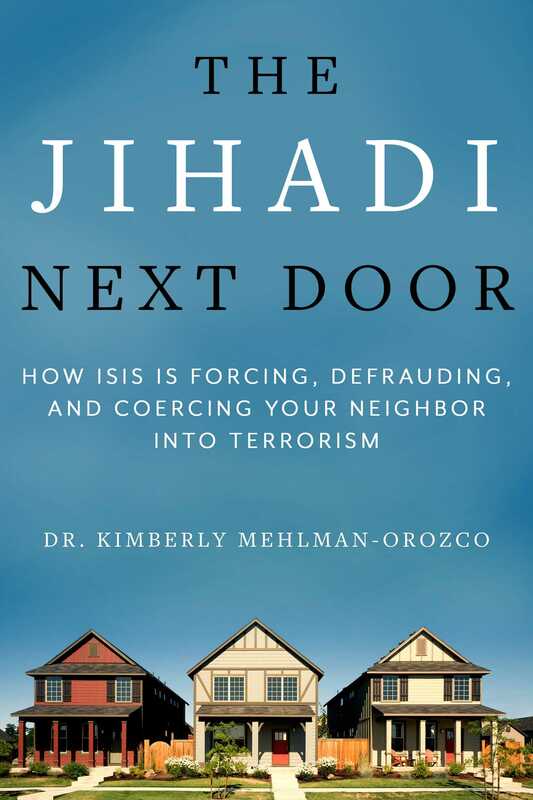 By laying bare the tactics used by ISIS to deceive and exploit new recruits and exposing the veneer these extremists operate under, Dr. Mehlman-Orozco hopes to empower readers with the knowledge needed to prevent future recruitment and thereby preventing acts of terrorism.